Layers of our golden buttermilk cake sprinkled with champagne. Filled with strawberry custard mousse and frosted in pale pink or white buttercream depending on the season. 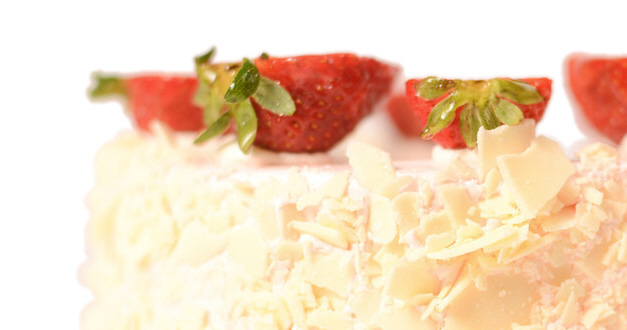 We add white chocolate shavings to the sides.Fast becoming a Freeport customer favorite.